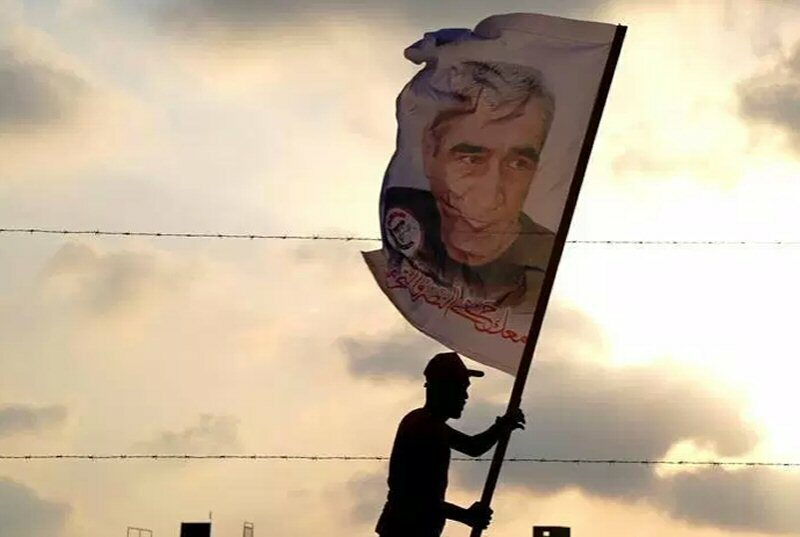 The following interview with imprisoned Palestinian leftist leader, Ahmad Sa’adat, the General Secretary of the Popular Front for the Liberation of Palestine, was published first in the Italian newspaper Il Manifesto on November 9, 2018. Sa’adat has been imprisoned in Israeli prison since 2006, when he was seized along with several comrades in a violent Israeli attack on the Palestinian Authority’s Jericho prison. Prior to the Israeli attack, he had been imprisoned since 2002 by the Palestinian Authority under U.S. and British guard. The imprisonment of prominent Palestinians like Sa’adat played a role in the 2006 Palestinian Legislative Council elections in which the legislative party associated with Hamas, the Change and Reform Bloc, prevailed. Less than a week before the new PA officials were to be sworn in, Israeli armed forces attacked the Jericho prison, killing two Palestinians. Since that time, Sa’adat was sentenced to 30 years in Israeli prison, even though he was not charged in the assassination of Rehavam Ze’evi. The notoriously far-right Israeli tourism minister was assassinated by PFLP fighters after the Israeli army assassinated PFLP General Secretary Abu Ali Mustafa in his Ramallah office, using a U.S.-made and –provided helicopter-fired missile on August 29, 2001. Several of Sa’adat’s comrades were sentenced to life imprisonment after the raid. Q: How would you assess the current situation in Palestine and the attitude of the U.S. administration under Donald Trump? First of all, I would like to thank you for this interview. It is absolutely crucial to communicate with Italian readers and explain the Palestinian left vision for the current situation in Palestine and in the region. We view the United States, under the Trump administration, as an extremely dangerous power, not only for the Palestinian people and for our region, but for all of the people of the world. It is often said that the only difference between Trump and previous administrations is that Trump reveals the true, ugly face of capitalism and imperialism, taking the use of plunder, hegemony and exploitation to an extreme level. Trump’s declaration on recognizing Jerusalem as the capital of the Israeli state and the transfer of the U.S. embassy from Tel Aviv to Jerusalem is the natural continuation of 100 years of colonization in Palestine and the 1917 Balfour Declaration. It is part and parcel of the ongoing attempt to liquidate Palestinian rights and to accelerate the ethnic cleansing of our people, especially in Jerusalem. Palestinians across the board politically reject Trump’s attempt to eliminate the Palestinian cause. Our people are resisting and rejecting this attempt not only with words, but with action: the launch of a true, heroic popular uprising in Gaza – the Great March of Return, in the spirit of the first Intifada and with the participation of the PFLP and a broad range of Palestinian political forces. 2) What current strategy would allow for the rebuilding of a strong Palestinian liberation movement? A historic and devastating rupture has taken place in the Palestinian movement after the signing of the Oslo accords in 1993. This has distorted the true meaning of our struggle and the essence of the conflict. An entire Palestinian generation has been born and grown up since the signing of that catastrophic document on 13 September 1993 in Washington, D.C. Since then, the Palestinian movement has been shattered, splintered and chaotic. As for the immediate tasks, it is critical to reestablish the Palestinian national liberation front, the PLO (Palestine Liberation Organization) if you will, in order to provide the necessary conditions for a renaissance of the Palestinian movement and the Palestinian revolution. We come from a different perspective than both Fateh and Hamas, and we are committed to a real national unity that includes our progressive framework and which must be based on popular representation and participation. All Palestinian classes must be a part of this process, and the popular classes must not be excluded from the leadership of the movement as they have been for the past 40 years. The freedom of Palestine will be won by the people, not the elites. 3) What alternative political direction does the PFLP suggest? We think that the main premise of change is popular participation that allows Palestinians to participate in the struggle and in political decision-making, in a manner that is effective and meaningful. This not only requires struggle against occupation, but also struggle to regain those Palestinian rights to participate in our own movement. For example, in Jordan, there are over four million Palestinians whose demands, needs and calls to action may seem to be absent. However, they must be heard. The same is true for Palestinians in Lebanon, Syria and elsewhere, as well as those in Palestine. Popular participation and leadership is necessary for rebuilding the resistance movement against Zionist colonization and implementing a strategy for the liberation of Palestine. This must also take place in the diaspora as well as in Palestine, in Europe and elsewhere in the world where there are Palestinians. If our communities are always threatened by all kinds of criminalization, repressive laws and right-wing attacks, then our tasks will be more difficult. The cornerstone of our vision lies upon this – people’s right to participate in developing their future. This is the most advanced, democratic process of participation which we are fighting for, unlike those who have imposed an elite hegemony on the Palestinian people. 4) The Popular Front for the Liberation of Palestine has marked the fiftieth anniversary of its founding. How do you evaluate the situation of the Front today? The Front concluded its seventh convention in early 2014, and we are now approaching the eighth convention of the Front. This will be an opportunity for all of our comrades inside and outside Palestine to assess the strengths and weaknesses of our Front and evaluate its advances and retreats. In the last five years, we can say that the Front has faced tremendous difficulties and challenges that have manifested political and financial siege: repression, mass arrests of its cadres, the killing of cadres. Yet we have advanced in our military capabilities in Gaza because we do not face the same conditions that we do in the West Bank under occupation and Palestinian Authority security coordination. Several comrades – including myself – are imprisoned precisely because of this security coordination between the PA and the occupier, but we are not alone in this regard. Hundreds of cadres have been subject to oppression and arrests as well. In terms of the Front organizationally, we also have made progress in terms of youth participation and renewal in various different aspects of our work. It is always challenging to accumulate achievements due to our circumstances, so we are always engaged in a process of building and rebuilding. 5) How has the PFLP changed since its foundation until now? The Front has changed tremendously in that time – we are talking about half of a century. There are four stages in the life of our party. The first, which could be identified as the “Jordan era,” from 1967 until 1972; the second, the experience of the Palestinian Revolution and the PFLP in Lebanon, from 1973 until 1982; the third, the first great Palestinian popular uprising from 1987 until 1993; and, since then, we have been living the stage of the so-called Oslo process. Now, these changes have affected the Front on many levels: political, theoretical, organizational. These have affected us as they have others: the wars in the region, the peace pacts between Arab regimes and Israel, the fall of the Soviet Union and the larger socialist bloc and the liquidation process (also labeled the “peace process.”) All of these factors and many others have affected the Front, its strength and its analysis. Certain positions which we took in a time of retreat made the Front look more “realist,” but that was due to internal contradictions in the Front. We discussed this publicly in our documents from the Fifth, Sixth and Seventh Conventions. The Front always engages in self-criticism and we do not hesitate to point out our shortcomings. But the conclusion to which we have arrived, from 1992 until today, is that the party, like our people, is living through a comprehensive crisis, theoretically, politically, financially and otherwise, and this crisis can only be overcome through resistance and struggle at all levels. 6) How do you see the role of the prisoners’ movement inside Israeli prisons? The prisoners’ movement inside Israeli jails has, historically, played a major and central role in the fight against Zionist oppression. This comes not only in our daily confrontation of the occupier and prisoners’ responsibility as the first advanced rank of the revolution but also in our role in the overall political scene in Palestine. We must remember that the national consensus agreement for Palestinian national unity has been called the Prisoners’ Document. It was drafted inside prisons and formed the basis of all later discussions for the Palestinian movement’s national unity. The prisoners’ movement has lived through various experiences of campaigns, hunger strikes, and prisoners lives’ being taken under torture. We are not separated from the liberation movement outside prison. Palestinian prisoners are from all of Palestine – the West Bank, Gaza, Jerusalem, the Triangle, the Naqab, Galilee, all of our land. We also consider Palestinian political prisoners in American and French jails as part of our movement, particularly Georges Ibrahim Abdallah, imprisoned in France for over 34 years.